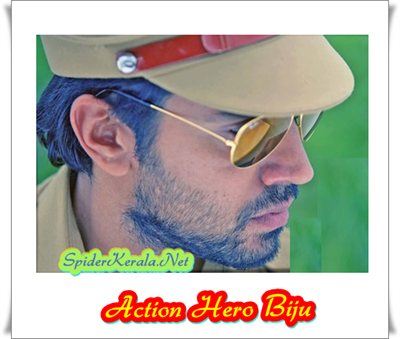 Action Hero Biju malayalam movie to be directed by Abrid Shine featuring Nivin Pauly in lead will be an action packed entertainer. Scripted by Shine and Mohammed Shafeeq, this thriller would have a long cast including prominent actors in the industry. Expected to roll soon, 'Actio Hero Biju', the movie would bring Abrid Shine and Nivin Pauly after delivering '1983', the first super hit of 2014. Riding on the success of '1983', 'Om Shanthi Osannna' and Bangalore Day's, young actor Nivin Pauly is gearing up to don an interesting role in Abrid Shine's next outing. Fashion Photographer Abride who made a majestic entry in the film industry with his directorial debut '1983' is all set to helm his second project. Titled 'Action Hero Biju', the movie will feature heartthrob Nivin Pauly in lead. Young Nivin who had given life to a variety of characters will play a throughout role of a police officer in this movie. Scripted by Shine and Mohammed Shafeeq, 'Action Hero Biju' touted to be an action packed thriller creamed with humour at its best. This movie would have a long cast including prominent actors in the industry. After the finalization of the script and cast, the movie would start rolling very soon. Abrid – Nivin, the duo who have delivered a visual treat with a sports oriented movie '1983' have given more expectations with their new venture. Being the first malayalam movie with cricket in the backdrops had emotionally touched the hearts of the youngsters of Kerala who could directly connect it with their real life. The nostalgic movie made by the 38 year old filmmaker struck the real chord as it had the essence of passion and everlasting dreams. Meanwhile Nivin Pauly who has made his own space in the malayalam film industry is truly happy with the overwhelming box office success of his recent movies. Nivin who has become more matured in choosing projects is happy with his acting career. After wrapping the shooting of Rajesh Pillai's 'Mili', Nivin is currently undergoing shoot of 'Premam' directed by Alphonse Putharen. He plays the role of Naveen in 'Mili', a women oriented movie which tells the tale of a girl who considers her failures as a stepping stone to success. So get ready to enjoy some breath taking action sequences from Nivin Pauly who always dreamed to play a cop on big screen.